We don’t generally talk about movies and tv shows at Zelda Informer unless it’s in relation to a game that actually happens to be pretty good. That being said, I saw Transformers 3 yesterday and I left with a pretty odd feeling. There is nothing in essence wrong with the movie. It’s exactly what you expect it to be. If you really liked the first 2, you will love the third. However, something about it just doesn’t click. It’s not that Megan Fox is no longer in the series. Grant it, they did absolutely nothing to explain why she’s no longer in Sam’s life, outside of “we broke up”. After what those two went through in the first two movies, breaking up just doesn’t feel like a realistic situation. I mean, she could of died or something, and it could of been used as a plot device. Anyways, I digress, the new girl is all kinds of hot and suitably replaces the Megan Fox role. The movie is a staggering two and half hours long, which is fine if it’s a truly gripping and entertaining experience. However, that’s not really the case here. 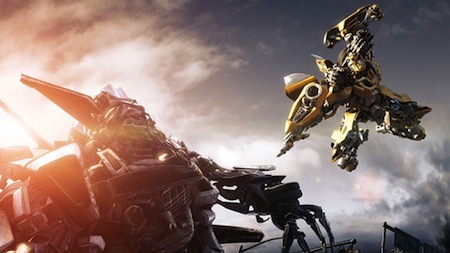 The biggest issue may just be that it feels like we’ve seen all these battles with the Autobots and Decepticons before. Nothing really new, and because of that, the fight scenes that used to be so exciting appear rather stale. We’ve been there, we’ve done that. The story itself is actually decent, and I do like how it connects to events that actually happened and uses stuff we are unsure about to explain what really happened, thus grabbing the audience. The first 40 minutes or so of the movie does a great job at getting you back into the universe. In fact, the first 40 minutes alone already made the movie a lot better than Transformers 2, though that doesn’t take much. Make no mistake, this movie is a money grab on a franchise that has a lot of fans. It’s not a bad movie, but it’s nothing special either. It’s not really worth going to the movie theatre to watch it, so you’re better off waiting for it to hit Netflix, or your local Redbox or Blockbuster. I wish I could say a lot more about the movie, but hey… I don’t want to spoil the little fun the movie does have. Next up on the list of movie and TV series topics? Heroes, where it went wrong, and is it really as bad as we made it out to be after the first season? Should be a great debate. Here’s hoping you enjoyed this small review.